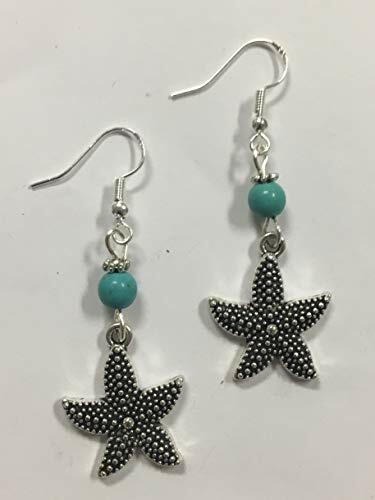 Pewter starfish charms delicately dangle from turquoise stone crystal accent beads - great as beach, nautical or coastal earrings too! On sterling silver earwires, for happy ears. Handmade in the USA. 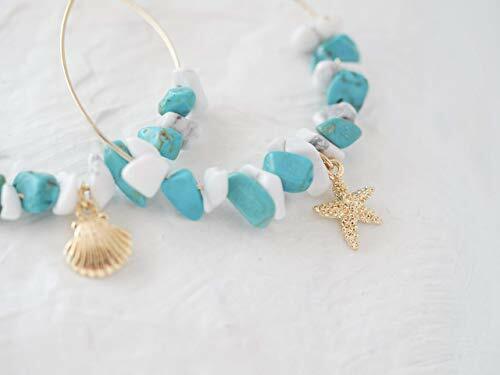 starfish shell mix matched beach boho style hoop earrings >>>> gold plated brass 40 mm hoop earrings mixed white & blue stones>>>>It comes in a gift box ready for gifting >>>> due to the nature of stones, each one may vary slightly in color, shape, size. these are not imperfections but nearly beauty marks. every piece is beautiful and one of a kind. 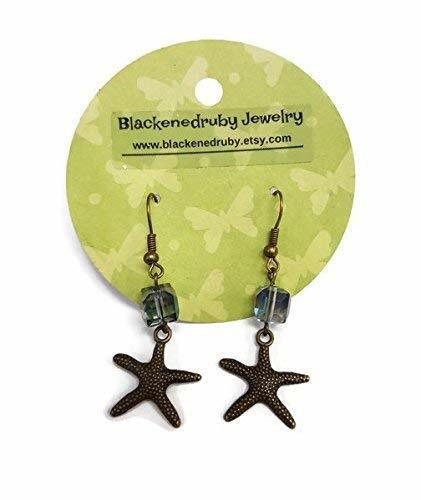 hese pretty turquoise starfish dangle earrings are lightweight and super beach chic! 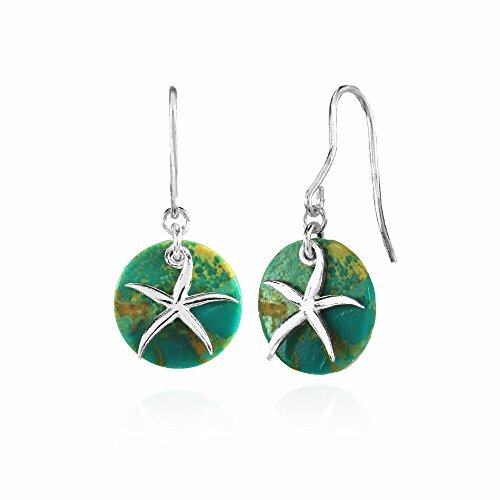 Wear them with casual beach clothes or a night out on for a Pina Colada in the Caribbean Islands. 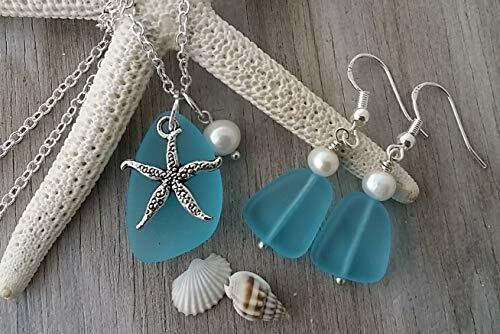 These cute ocean earrings would make a great gift idea too and will arrive in a white cotton filled box for easy gift giving! Measure 1 & 1/4 inches from the ear wire. 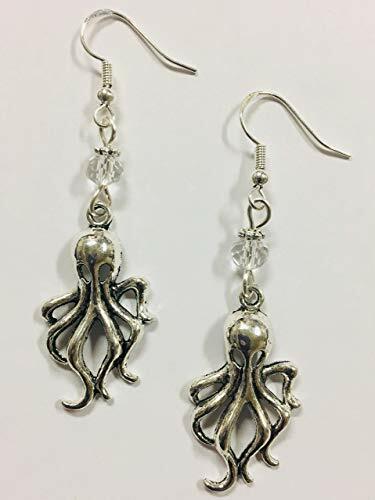 Pewter octopus charms delicately dangle from turquoise faceted crystal accent beads - great as beach, nautical or coastal earrings too! On sterling silver earwires, for happy ears. Handmade in the USA. Nickel and lead free, alloy metal. 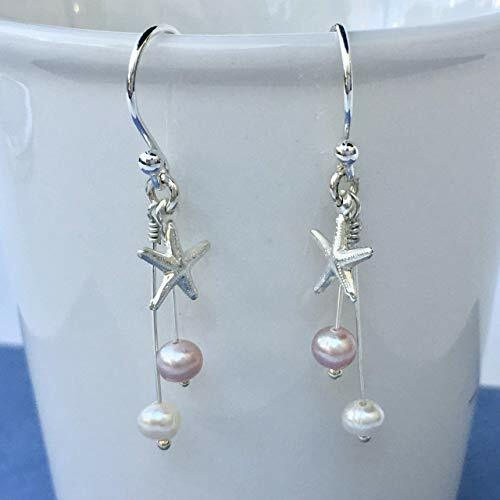 Dangle french hook earrings. Beads are glass. Silver tone earrings are approximately 3/4" wide and 1" long. 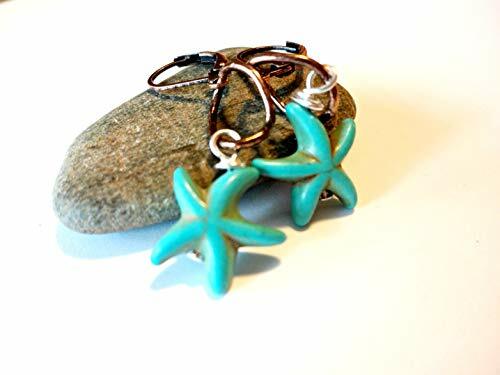 Starfish charm measures approximately 2cm across. Seahorse charm 2cm long. Dyed cultured freshwater pearl is approximately 6mm. 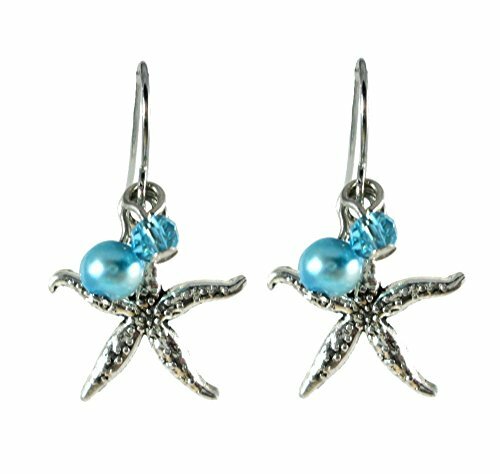 earrings are hung on silver tone ear wires. 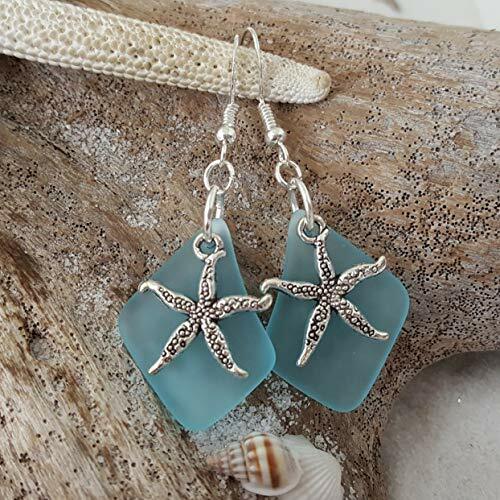 Great for beach weddings!